Today on Alpaca Open House, we are writing about two types of Alpacas. They are Huacayas and Suris. While they are similar in many ways, there are several key differences. Huacaya (pronounced as wuh-kai-ya) have fluffy fiber. 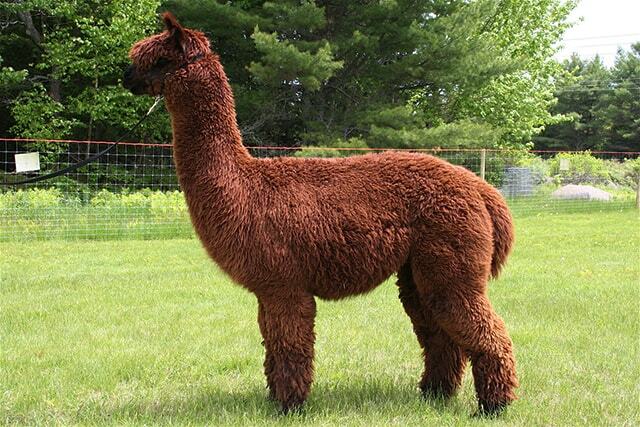 Huacayas are the most common and popular type of alpaca. Their popularity is largely due to their cuddly, teddy-bear look. They achieve this look because their fiber stands upright, perpendicular to their skin. Huacaya fiber is popular among spinners because it is easy to spin. It is also easier to weave, making beginning weavers more productive. A dense Huacaya may shear up to 10 pounds of fiber per year. Suri Alpacas are rare, unique, and more elegant alpacas. They are also more expensive than Huacayas. This is largely due to their rareness. Suris have long, shiny, locks of fleece which are both soft and wavy. Suri fiber is also more valuable than huacaya fiber. Many beginning spinners mix Suri fiber with cotton, wool, or silk because suri fiber is much more slippery to spin. However, experienced spinners prefer Suri fiber because of the extreme luster. Suri fiber is quite long and has an almost string-like appearance. High-quality Suris have tightly twisted locks with very high luster. World-wide, Huacayas account for 98% of all alpacas, while Suris only account for 2%. Both Suris and Huacayas come in a variety of colors. The only major difference their fiber. Huacayas have wavy and fluffy fiber, while suris have long, fiber that looks similar to dreadlocks. Because of these differences, Huacayas and Suris are judged separately at Alpaca shows. An often overlooked difference between Huacayas and Suris is the commercial use for the fiber. Commercially, 100% of all Suri fiber is used for external wear. This is due to its extreme luster. This means that Suri fiber is used exclusively for garments such as jackets and coats. This is why luster is actually more important to Suri fiber than fineness. Commercially, Huacaya fiber is used for items such as socks and mittens. As such, fineness is extremely important to the commercial use of Huacaya fiber. Over the years, scientists have researched and experimented cross breeding Huacayas and Suris. While this genetic research may be a very useful tool when making breeding decisions, it is important to note that cross-breeding is not a generally accepted practice in the United States. In fact, in 2007, the Suri Network adopted a breed standard that declared “a Suri must come from two Suri parents”. The fact that the Suri gene is more dominant than the Huacaya gene is commonly accepted among alpaca breeders. 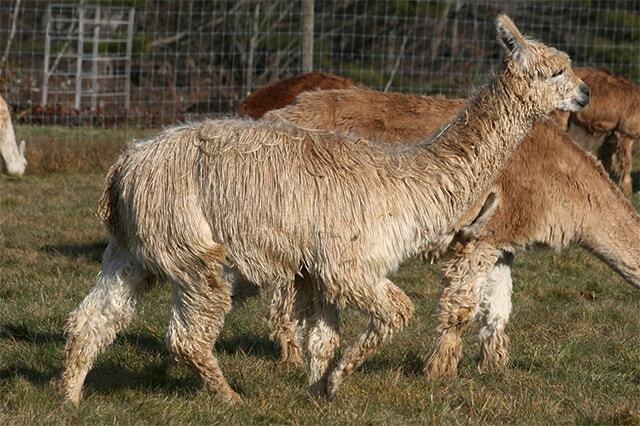 This means that when a homozygous suri is mated with a huacaya, the result will always be a suri cria. Suris are typically stronger and heavier than Huacayas. Generally speaking, Suris are not larger or taller than Huacayas. Their heavy look and build is merely an adaptation of their fleece structure. Having long and thick fleeces on their back require them to carry more weight than Huacayas, hence the stronger body structure. While colors are similar among Huacayas and Suris, Suris have certain colors and markings that are uncommon among the Huacayas. For instance, there are many beautiful appaloosa Suris, but appaloosa Huacayas are extremely rare. Conversely, grey Suris are extremely rare, but there are many grey Huacayas. The differences and variations among the two types of Alpacas are not significantly relevant with regards to production or the survival. However, this diversity makes them more interesting and endearing to breeders and animal lovers alike. The differences in the fleece characteristics also make it exciting among the spinners and weavers. Because the alpacas are so similar, most people make their purchasing decision based purely on personal preferences. Alpaca Facts - What Do You Need To Know About?